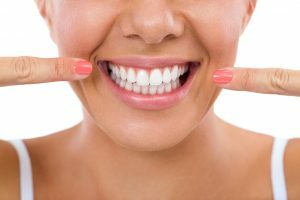 So, you’ve taken the first great step to correcting your smile by getting dental implants in East Boston. This is a brand-new chapter in your life where your missing teeth been replaced, but you’ve just restored your oral health. You’ve taken the initiative to care about your oral and overall health, being one of the 95 % that end the implant process successfully. It would be wasteful of your time and restored health to neglect your teeth once again. Your dentists at Brooks Dental P.C. Cosmetic Dentists are here to provide you the information you need on how to properly maintain your dental implants for years to come. Long term success of implants depends on how well they are maintained. Regular dental appointments are essential, but to avoid further dental issues you must make sure that both your teeth and dental implants are being cleaned regularly. The great thing about dental implants is that they really do mimic your natural teeth. You need to maintain them just as your adult teeth that still stand in place by brushing and flossing twice a day. It can be difficult to floss and clean under fixed implant dentures and bridges so they should be routinely taken out to check the implants from the inside out. This will help to remove dangerous bacteria from your natural teeth and around the are your implant was placed. Several types of cleaning aids are used for sterilizing your dental implant. Between-teeth-cleaning should be accomplished either with interdental brushes (brushes for small or hard to reach areas) or dental floss. Because the surfaces of your dental implants can be easily scratched, we recommend soft-picks because they have soft, rubber tips. Another helpful tool to have on hand is an oral irrigator. This device essentially flosses teeth with water to clean in and around teeth with implants. They help fight bleeding gums, inflammation, and gingivitis. Mouthwash, especially antimicrobial washes, are proven to kill bacteria in the mouth. Mouthwash also decreases gum inflammation when used twice a day alongside your brushing and flossing habits. Rinsing with mouthwash is particularly helpful when you have a dental implant that is in a hard to reach area. Dental implants are a great restorative option because they help rebuild a healthy jaw bone. In order to maintain your jaws health and longevity, it is important that you are feeding your body the right nutrients to keep it strong. You should incorporate foods that are rich in calcium, vitamin D, Vitamin C, and raw crunchy veggies to exercise your jaw with consistent chewing. Dental implants can be a life-changing solution, and our office wants to make sure you have the information you need to maintain your restorations. Whether you are interested in possibly getting an implant in East Boston or already have them, contact our office for more information on how we can help you reach your best oral health.